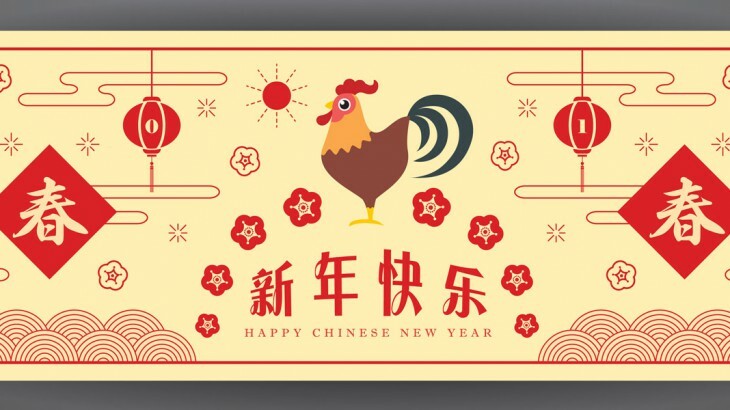 Wake up to the Year of the Rooster! Also known as the Lunar Spring Festival, Chinese New Year is a huge celebration in China. The festival is a time for family, where people travel back to their home towns and villages from where they work, creating the biggest mass migration of people in the world. Once home, they celebrate the occasion with traditional cuisine, such as dumplings and fish. The most popular fish to eat is steamed Weever fish in a spicy broth. The head of the fish should always point in the direction of the head of the family as a sign of respect. The Chinese also clean their house to wash away any bad luck, as well as decorate their doors and windows with red paper cutouts. Families spread good fortune by giving money in red envelopes to relatives. Chinese New Year is celebrated over the course of sixteen days, and if you are planning on booking a holiday to China around this time, you will be sure to be swept up in all its fervour and magnificence. The Year of the Rooster is set to be a year full to the brim with action. Those of the Rooster zodiac are seen as honest and hardworking, as well as sporty and ready for any hurdle they may face! There really is no better place to celebrate the festival than in Asia itself, so we’ve created a special tour where you can celebrate Chinese New Year in China! Chinese New Year is aligned with the Chinese Zodiac. Each zodiac year is associated with an animal sign and one of five elements: Gold (metal), Wood, Water, Fire and Earth. The Year of the Rooster falls under the Fire element. The element-sign combination recurs every 60 years, while the animal sign is repeated every 12. To celebrate, we have created this colourful infographic to show you what your animal sign is and what 2017 has in store for you. China china in uk, culture, festivals. permalink.